Recent advances in data acquisition and imaging technologies have raised new difficulties: the acquired data are increasingly bigger, online databases accumulate ever more entries, multimodal studies comprise all sorts of data (e.g. clinical, imaging, genomic). Realizing the considerable potential of these hardware technologies is conditional upon the development of equally sophisticated software approaches capable of handling the size, number and heterogeneity challenges of this data deluge. 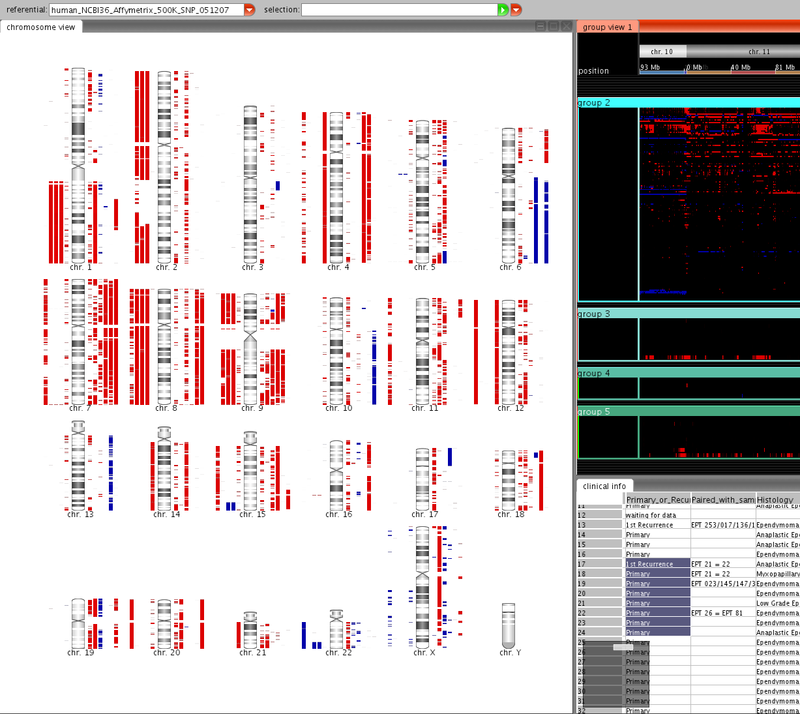 We were commissioned by the Children Brain Tumor Research Centre at the University of Nottingham to develop a fully integrated genomic analysis software for high-throughput microarray technology with the ability to handle thousands of samples from a variety of platforms and modalities (SNP arrays, aCGH, expression and methylation data, etc.) within a custom-made, highly flexible interface. Data can be accessed from a variety of sources (spreadsheet, individual data files or databases) and are visually organized in heterogeneous tables. 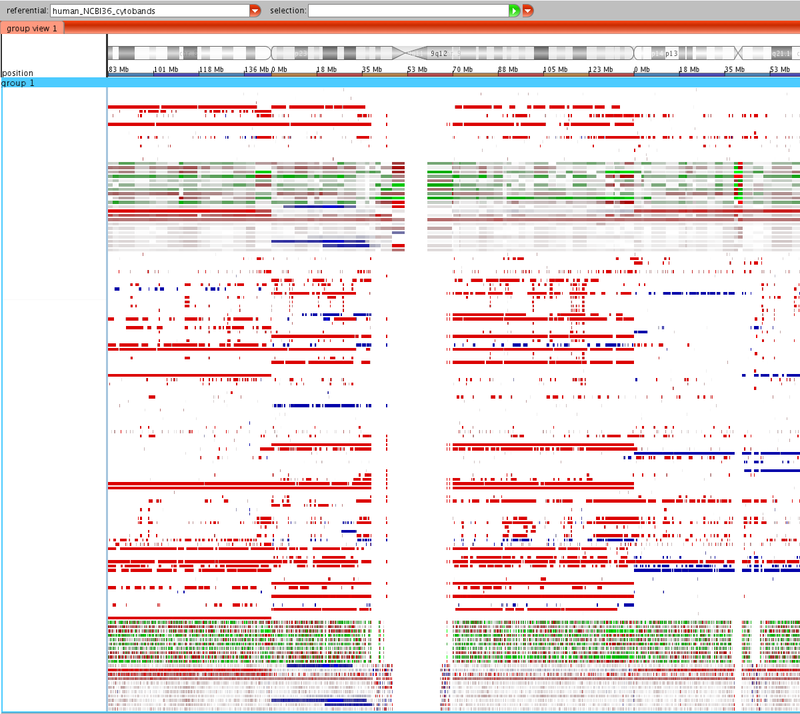 Users can manipulate the tables, zooming in and out to reveal fine details, sort through the datasets, or launch genomic analyses, amongst many other tasks. 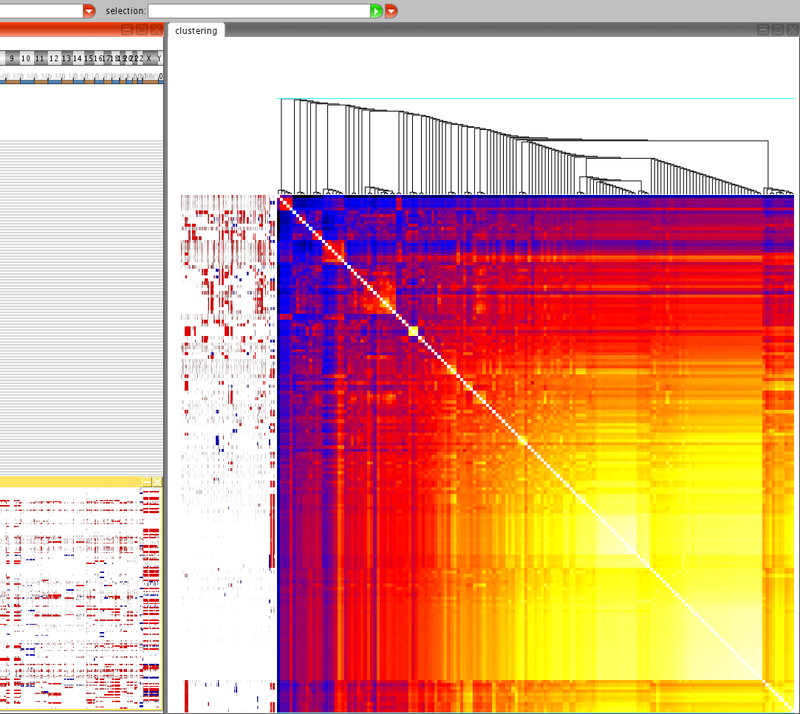 SnpView was built on top of Ilixa's Quartz, a software platform capable of managing, visualizing and analyzing heterogeneous datasets of arbitrarily large size. It was designed from the ground up for applications requiring flexible, fast and scalable handling of data. Quartz enables our developers to focus on the actual application features rather than worry about memory, speed or visualization. 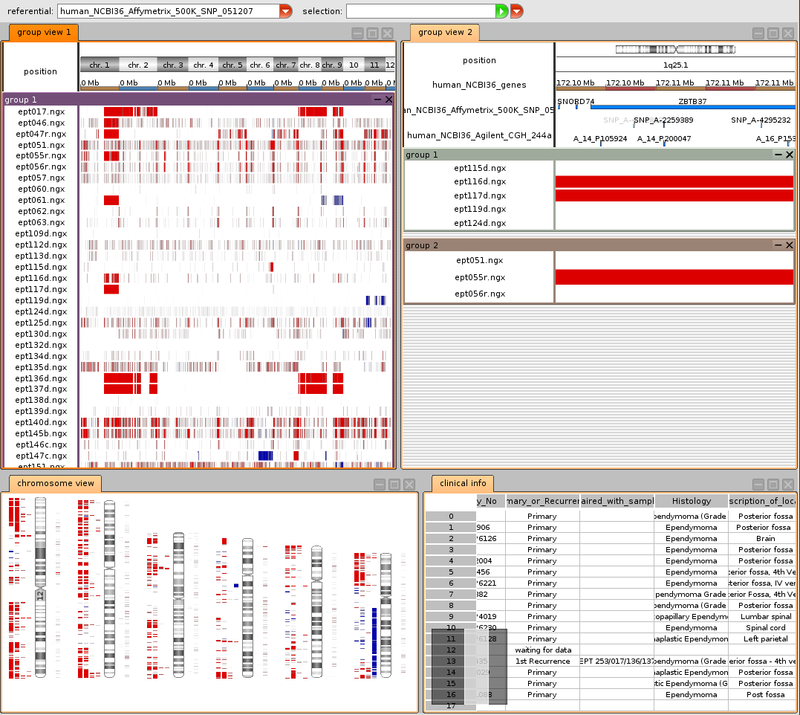 In essence, it offers a high-performance, integrated environment to facilitate the design, rapid-prototyping and development of advanced, bespoke, user-friendly bioinformatics tools.